Q: Do these Standards require that each era be taught at all three levels, grades 5-6, 7-8, and 9-12? A: No. The local school curriculum will determine when an era is to be taught, whether at grades 5-6, 7-8, and/or 9-12. Once that curriculum decision is made, teachers can enter these standards to determine which ones are appropriate for their students, and how the standards they select are related to others within a well-articulated curriculum in history, grades 5-12. Q: Are high school teachers expected to teach all standards identified as appropriate for grades 9-12? A: No. These standards assume that schools will devote three years of study to United States History and three years of study to World History sometime between grades 5 and 12. Therefore, an era will probably be studied in some depth during at least one earlier school year (e.g., grade 8). In that case, the more numerous standards deemed appropriate for grades 9-12 will, in part, have already been addressed in an earlier grade, and the emphasis can be turned in the high school U.S. or World History course to those standards judged not to be appropriate for the earlier grades. Again, these are matters of well-designed, articulated curriculum planning, within the jurisdiction of local schools. Q: Does the thinking skill identified in a particular elaborated standard limit teachers to drawing upon that one skill? A: No. Decidedly not. Each elaborated standard highlights one important thinking skill. However, it is understood that good teaching will incorporate several, or even many, thinking skills to develop these understandings. In fact, as students’ historical knowledge deepens, they will draw on a widening range of skills. Q: Do these standards limit the instructional approaches teachers might adopt to develop these outcomes with students? Create a chart listing the competing arguments in two parallel columns. Assume the roles of defenders and opponents of England’s imperial policy and debate the issue whether England was right in developing its policy. Write “Letters to the Editor” for a July 1775 issue of their classroom newspaper, the Boston Liberator, in which the editorial page is devoted to assessing opposing views on England’s imperial policy in the context of the mounting crisis. Create a historical argument in the form of an essay, speech before the English Parliament, or an editorial in which they confront the opposing views on England’s imperial policy and justify the position they judge warranted by the data. Recount or create a flow chart of the procedure for passing a bill in 5th-century BCE Athens. Prepare a speech such as Themistocles might have delivered before the Athenian Assembly setting forth the plans for the evacuation and defense of Athens, and conduct a mock session of the Assembly to debate the proposal. Consider the roles of people from different classes in Athenian society such as women, children, the elders, landowning males under the age of 50, slaves, and those who had been ostracized or disenfranchised. Analyze who was allowed to participate in the democratic process under Athenian law at this time, and how each group would be affected by the Assembly’s decision on the proposed evacuation. For detailed examples for every standard, see the Bring History Alive! series. Q: Won’t the elaborated standards each require a separate lesson or sequence of lessons, and doesn’t the total teaching load therefore far exceed the total number of teaching days available, even over three years of instruction? A: No. Good teaching, it should be emphasized, will often develop two or more of these elaborated standards in a single lesson or sequence of lessons. These standards are intended to signify desired outcomes of instruction and not to prescribe a particular teaching plan. Teachers will creatively design their own instructional plans, integrating related understandings in a variety of ways to accomplish these ends. For example, in the teaching approaches just considered-creating a flow chart, conducting a mock meeting of the Athenian Assembly, and analyzing potential political roles of people from different classes of Athenian society-the first and second activities contribute directly to achieving the first of the five elaborated standards and the third activity contributes directly to achieving three of them: the first (describing the changing political institutions of Athens and the influence of political thought on public life); the fourth (explaining class divisions of Greek society and the social and political roles of major classes); and the fifth (analyzing the place of women in Athenian society). Teachers seeking to make the most of their instructional time will therefore probably select the third activity over the least productive activity of creating a flow chart, and thereby hit the proverbial two-or three!-birds with a single stone. Q: Why are famous figures from U.S. and world history such as Robert E. Lee or Wilbur and Orville Wright seldom mentioned by name in the standards? A: The standards are neither a curriculum nor a textbook where these names, and hundreds of others, will undoubtedly be mentioned and elaborated upon. 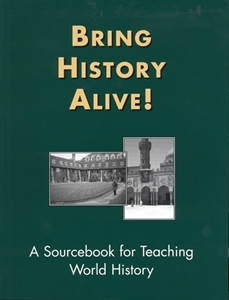 Rather, the standards, which are curricular guidelines, direct teachers’ attention to broad historical developments. 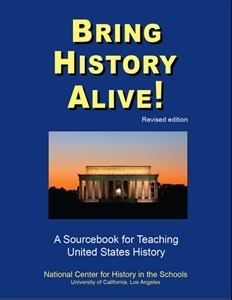 For example, students should understand “how political, military and diplomatic leadership affected the outcome of the Civil War.” In acquiring this understanding, students will find names such as Robert E. Lee, George McClelland, Ulysses S. Grant and many others, in textbooks and other sources.